Featuring a tall bucket silhouette, ZHU is an edgy backpack in a classic minimalist design. The drawstring top closure is extending to the shoulder strap, which offers a high level of security and allows you to access the storage easily. The bold zipper tag of the side pocket is also an attraction to the outline. 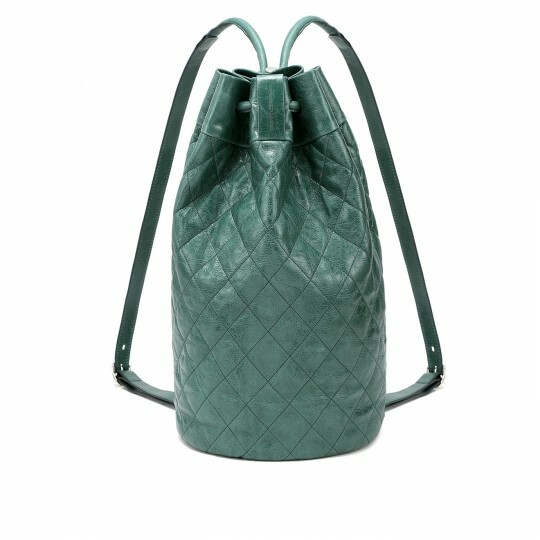 RABEANCO selected quilted glossy cow leather. The wrinkled surface is with a certain level of scratch-resistance.